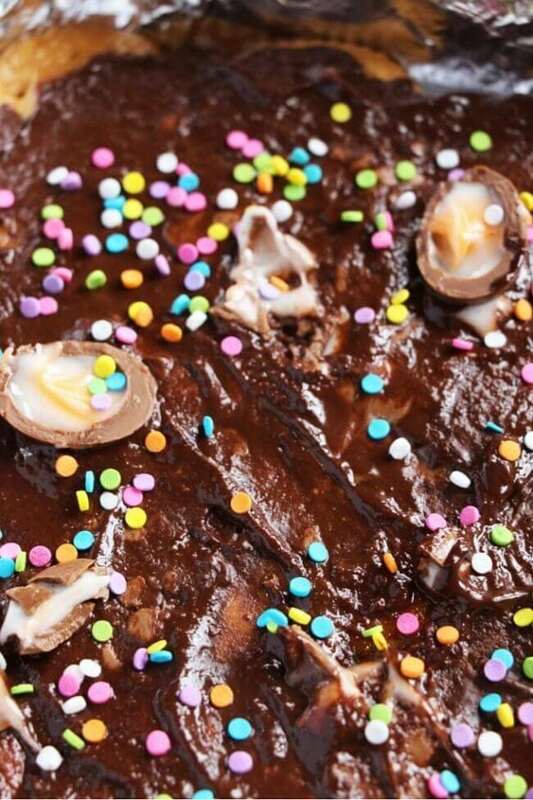 I made this with just a handful of leftover cream eggs from when my daughter made her crazy Cream Egg Easter cake, so don’t think you need to sacrifice the whole bag to make this recipe! 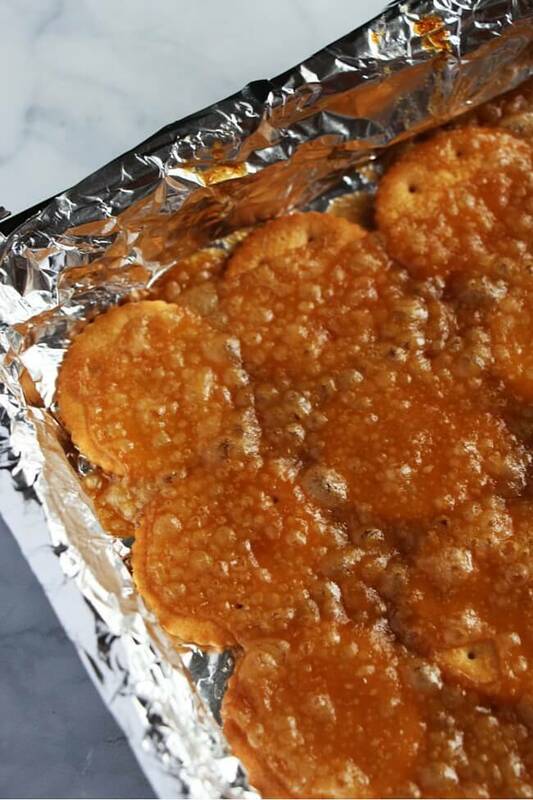 Spread the crackers to completely cover the bottom of the baking tray. Combine the sugar and butter in a saucepan and bring to a boil over medium-high heat, only giving a single good stir or whisk at the end. 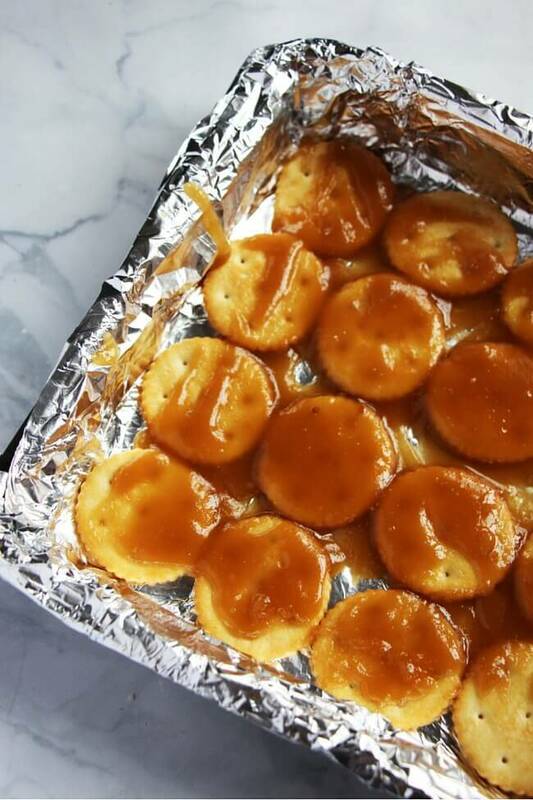 Pour the caramel mixture over the crackers and spread evenly with an offset spatula. 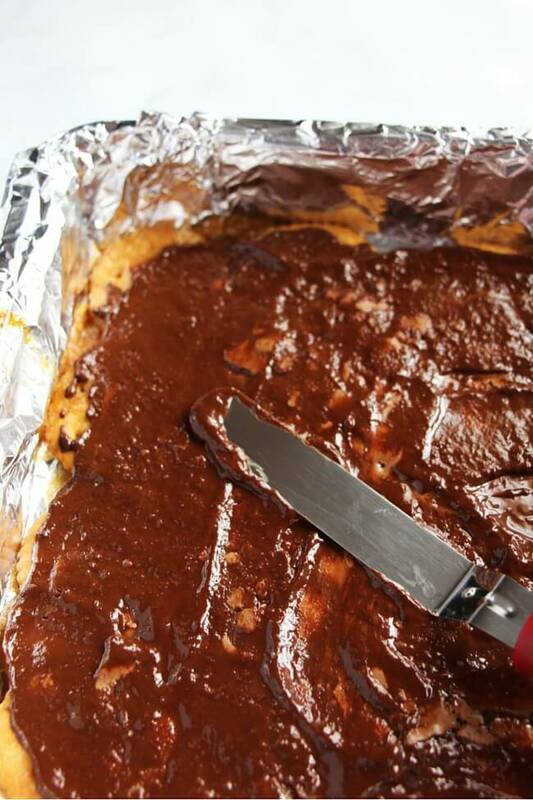 Stick the baking tray in the oven for 5 minutes until the caramel is bubbly and thick. 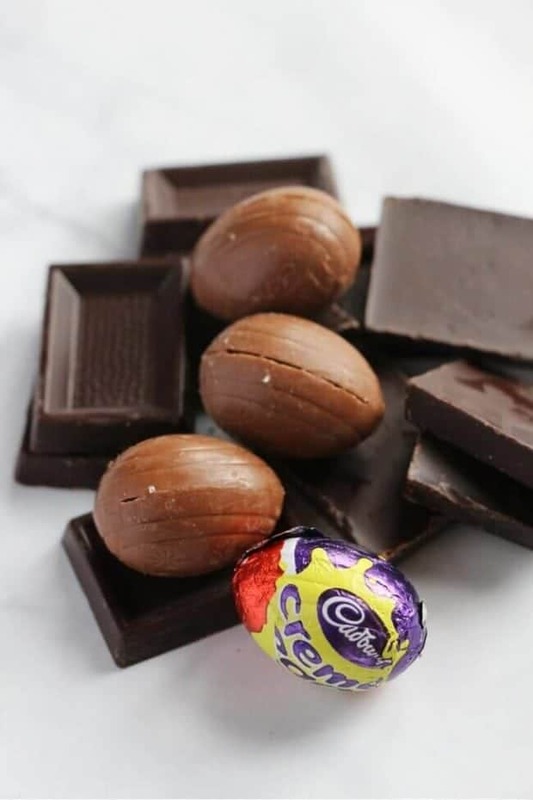 Meanwhile, break up the chocolate pieces and unwrap the Mini Cream Eggs. Sprinkle the chocolate overtop of the caramel layer and pop it back in the oven. Bake for an additional 2-2 minutes until the chocolate is completely melted. Spread the chocolate with an offset spatula. 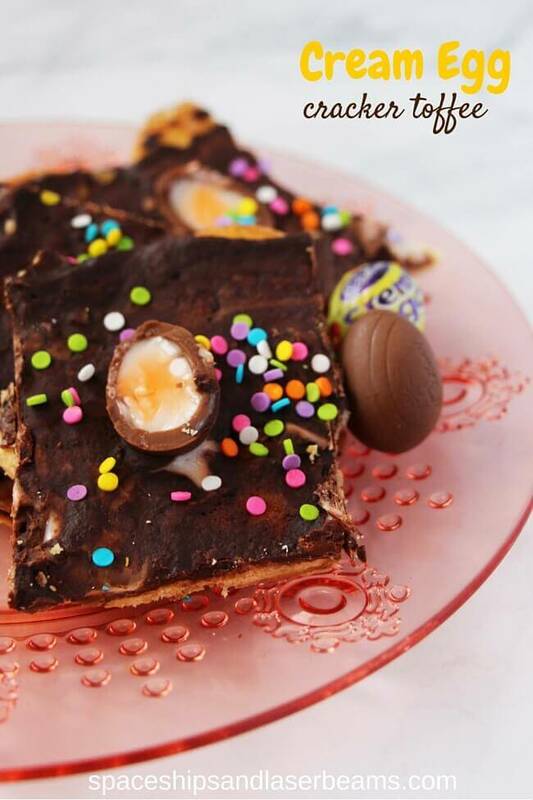 The Cream Eggs will probably melt completely, adding an indulgent decadence to the Easter Cracker Toffee. 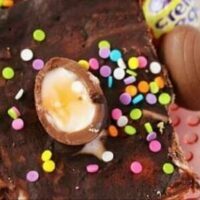 Cut a few extra Cream Eggs in half and sprinkle them onto the still-wet chocolate, along with some colourful sprinkles. 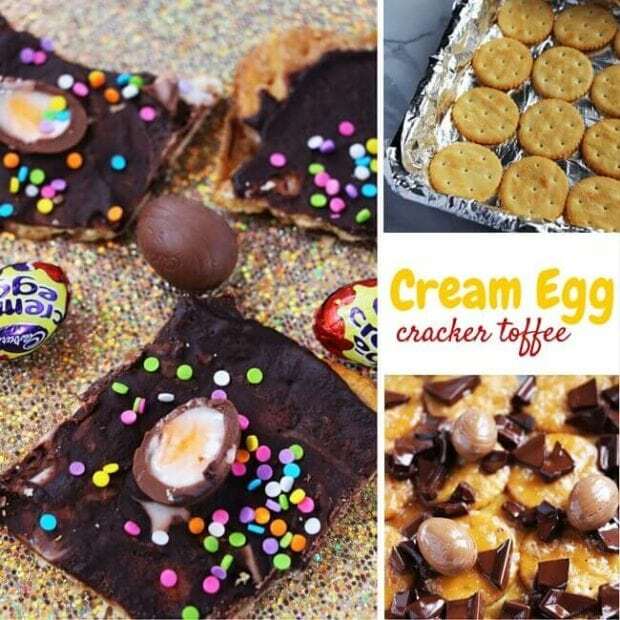 Place the whole thing in the fridge until the Cream Egg Cracker Toffee cools & hardens so that you can “crack” it into single serving pieces. Have you ever had Cracker Toffee? What will you be serving for Easter dessert? 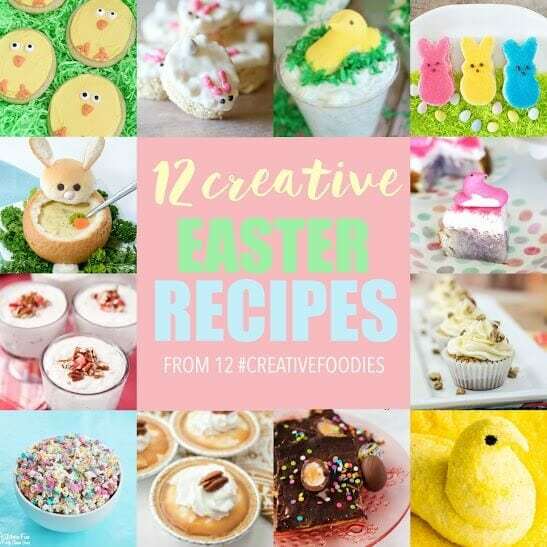 Check out these other creative Easter recipes! 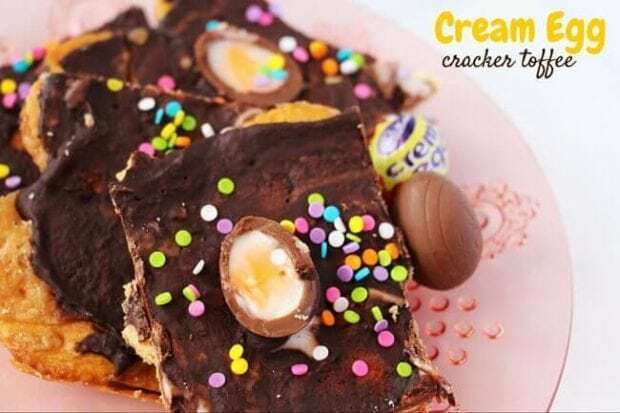 Cracker toffee is delicious but the addition of the cream egg takes it over the top. So easy and so delicious! I made my kids very happy!